Chester County was the only suburban county to outpace the City of Philadelphia in population growth rate, according to the most recent Census estimates. The county’s population was estimated to have increased by 3.9 percent between 2010 and 2017 in comparison to 3.4 percent in Philadelphia. The number of new residents for the county in 2017 was 2,804 in comparison to a more modest increase of 1,263 new residents in 2016. The county’s growth was nearly evenly split between natural increase (births versus deaths) and migration into Chester County. 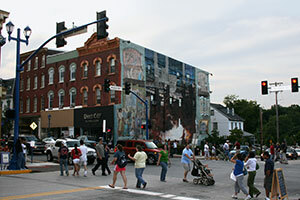 The county’s current estimated population is about 519,000. Check out the Philadelphia Inquirer article on regional population growth.